Cranberry Sweet Bread Rolls | I have told you all on a few occasions that I’m not the best baker. I am capable of baking but I’m not consistent. I think I lack the patience that is required to be a really good baker. But, there are a few things I make on the regular that I know are really good. My mallorca bread recipe is my one trusty baking recipe. My mallorca bread is tender, sweet, and fluffy. Traditionally it is baked as a coiled bun and dusted with powdered sugar. But, I thought I would get creative and make a holiday-inspired sweet bread roll. There is no combination that says holidays more than the pairing of cranberry and orange. I love the sweet and tart flavor of cranberries and the brightness of orange. I decided that I would do some rolls filled with my homemade spiced cranberry sauce and topped with orange icing. The first time I tested this recipe I tried using a cranberry relish. But the relish was too tart and sort of fell out of the roll. I really wanted something more decadent. That is when I decided to go a more traditional route and use my spiced cranberry sauce. I love this sauce! 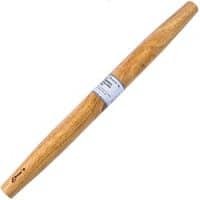 It sweet, tart, and has a touch of holiday spice with the addition of allspice, cinnamon, and nutmeg. As I mentioned before the base of this recipe is my mallorca bread. When preparing these rolls plan to give yourself some time to make the dough and let it rise. You can make the mallorca dough a day in advance and keep it in the refrigerator loosely covered with plastic wrap. Before you are ready to roll out the dough let it sit on the counter for at least 30 minutes to allow it to come up to room temp. You can also make the cranberry sauce ahead and store it in an airtight container in the refrigerator up to a week. I baked the rolls in a 13 x 9 sheet pan but if you are planning to make these to give out as a gift you can bake batches of 6 rolls in smaller disposable round molds. They make a great edible gift. These rolls are everything! They are sweet, tender, tart, sticky, and gooey. 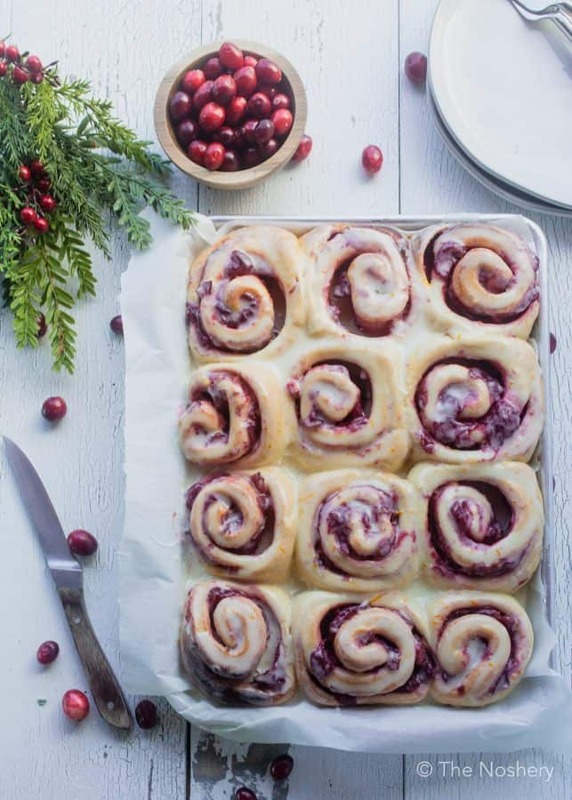 If Christmas was a roll this is what Christmas would taste like. With a little planning, you can easily have this rolls put together and ready to bake for Christmas morning. This recipe makes enough to feed your family and all the family that comes to visit. They also make a great holiday gift or teat to exchange at your next Christmas baking exchange. These rolls are dangerously delicious! By the way, I just said that to the tune of the Lucky Charms jingle. Say it with me, “Dangerously delicious!” And now the jingle is in your head. You are welcome. 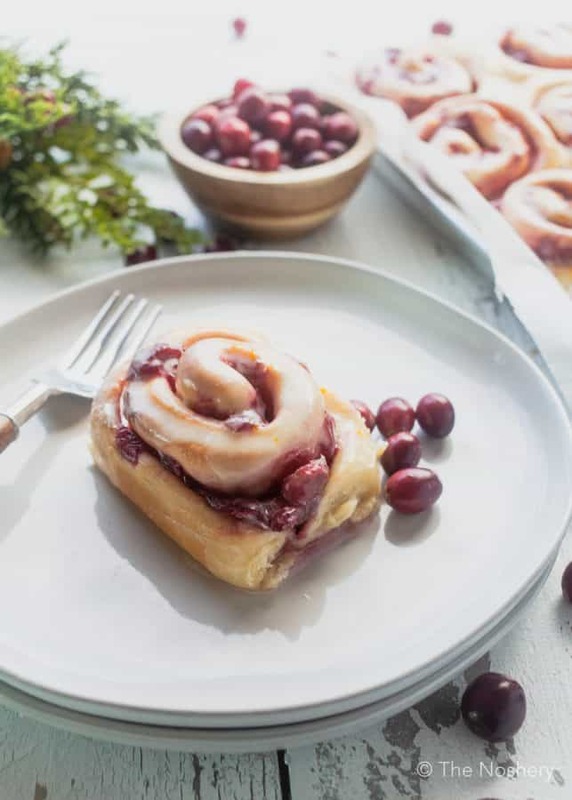 Anyway, if you want something a little different but equally decadent as the traditional cinnamon roll I highly recommend these cranberry sweet bread rolls. They just might become a new Christmas morning tradition. If you are looking for more holiday recipe inspiration try some of my favorite holiday sweet treats! 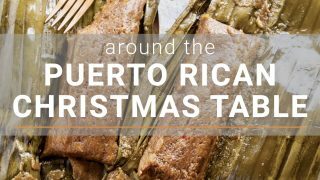 Like, Arroz Con Dulce (Coconut Rice Pudding), Spiced Rum Apple Cake with Apple Cider Caramel Glaze, or Mantecaditos con Guayaba (Shortbread Almond Cookies with Guava). 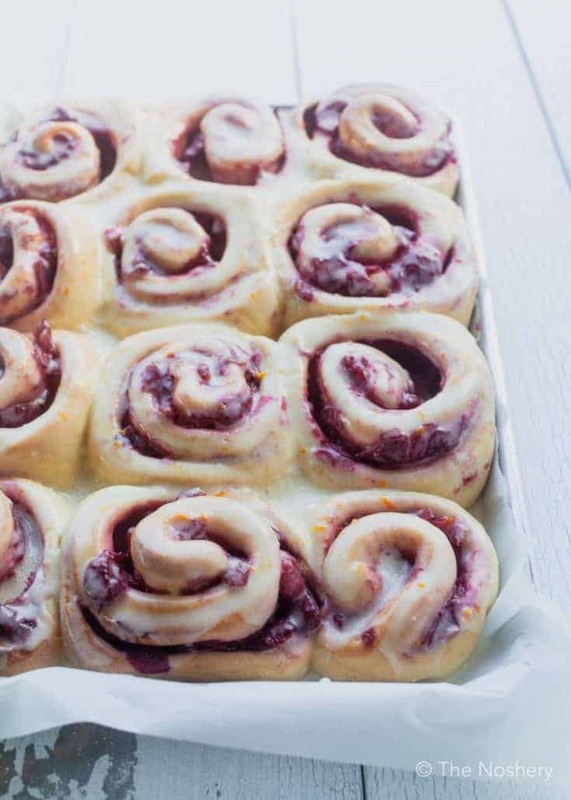 Sweet bread rolls filled with spiced tart cranberry sauce and topped with a sweet orange icing. A great treat for Christmas morning. 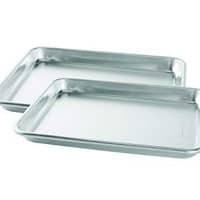 Line two 13 x 9 sheet pans with parchment paper. Divide mallorca bread dough in half. Working with one half roll out the dough on a floured work surface in the shape of a rectangle to 1/4 inch thick. 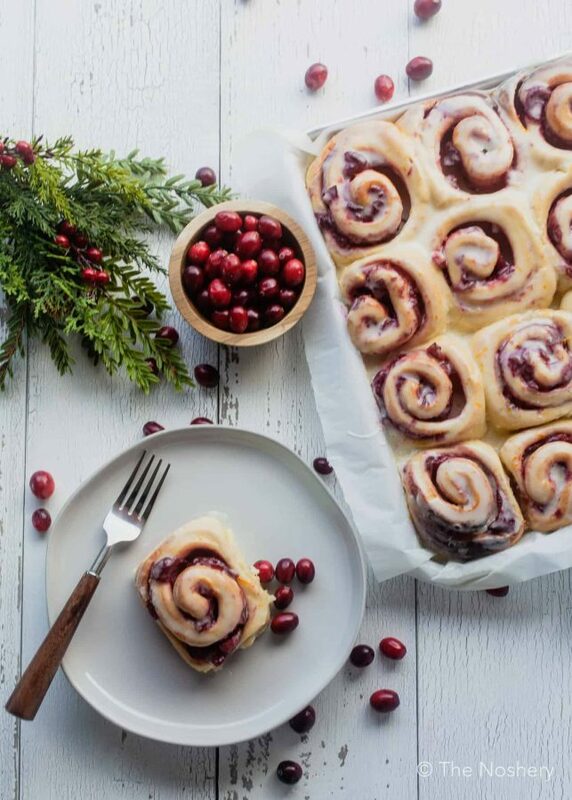 Spread 2 cups of cranberry sauce over the rolled out dough. Gently roll the dough towards you. Pinch the edge to seal. Using a sharp knife cut the roll into 12 even slices. Arrange the slices in the sheet pan, leaving space around each roll. Repeat the same steps with the remaining half of the dough and cranberry sauce. Loosely cover the rolls with a clean kitchen towel. Place the rolls in a warm place and let rise for 1 hour. Heat oven to 350°F while the rolls rise. Bake the rolls on the center rack for 25 - 30 minutes. Turning the roll half way so they brown evenly. While the rolls are in the oven combine the icing ingredients in a large bowl. 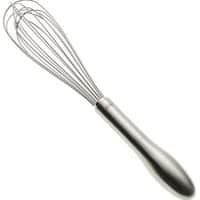 Whisk until well combined and smooth. Adjust the consistency if needed by adding water or powder sugar 1 tablespoon at a time. Let the rolls cool on a cooling rack for 10 minutes. Spoon icing over the rolls and enjoy. 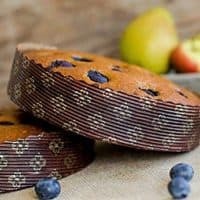 7-inch Disposable Round Pans Brown Baking Mold - 20 pc. There is nothing I love more than a traditional cinnamon roll unless it is a variation on a cinnamon roll that actually works (and trust me, some do not, as I’ve learned from experience). I am LOVING this cranberry orange version. Loving it. Not only must it taste divine but I love the colors. Delicious! Awesome! Obed brought a dish of these to the office and they were amazing! I have family coming for Christmas and these will be perfect. So glad I found your site! Those look fantastic! When I’ve recovered from Thanksgiving I’ll have to make them. Yum! I’m actually salivating like a rabid animal 🙂 They go to the top of my ‘to do’ list. But I’m weak and the amount of icing scares me, so I’ll probably use a bit less. That looks amazing . I would love to try and make it very soon but was wondering if I could substitute frozen bread dough from the grocery store . You have the best ideas. YUM, what a fab idea, think I’ll add some pralines to the cranberry Jam just cause I’m a nutty gal.